Rarely on my blog do I venture into the highly debated passages of Scripture, but I was so impressed with the thirteenth chapter from D. A. Carson’s book, ‘The God Who is There,’ that I felt I would be selfish to not share this. Carson walks his readers through an exposition of the fourteenth chapter of Revelation. He describes this as one of the horrific chapters of the Bible. You’ll recall, in this chapter, the reader comes face to face with a very angry God. So angry, that we see Him pour forth the full measure of His wrath. I’m told that the Jewish people would not drink undiluted wine. They considered it barbaric. But in John’s account of his vision, God’s wrath here is described as full strength. The destruction, gore, and blood described in these verses sends the reader running rapidly back to John 3:16 and 14:1 to find comfort from the imagery of this God who is bent on demonstrating His anger! And that brings me to my point. How often do we stop and consider that this anger described in these debated verses is the very anger and wrath that Jesus endured on the cross. The full measure of God’s judgement fell upon our Savior as He bore our sins on the tree! I am confident I will never read the book of Revelation the same again. 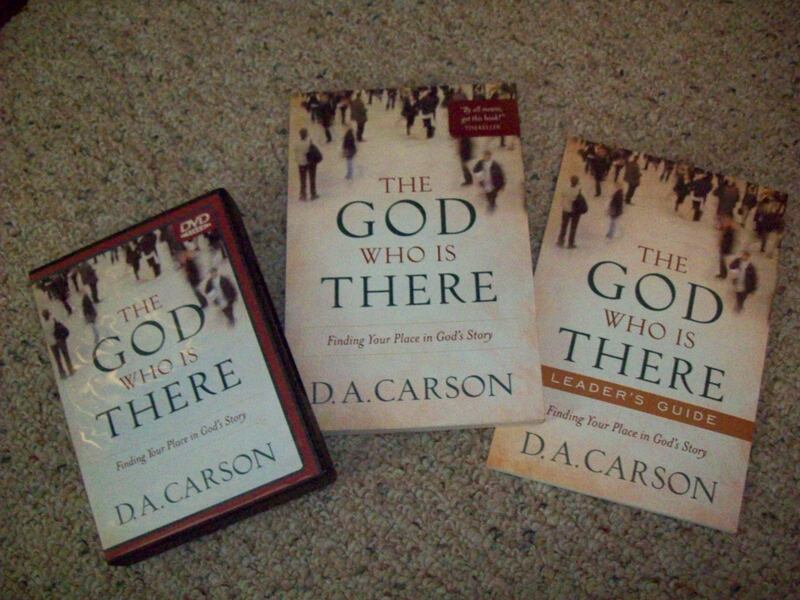 I highly recommend this book by Carson. I would list it as a must-read! This entry was posted in Books, DA Carson and tagged carson, Christianity, D. A. Carson, faith, judgement, religion, Revelation, wrath. Bookmark the permalink. We all know the extent of the physical agony of crucifixion, but as extreme as that agony was, I believe the agony of the perfect, sinless Jesus in becoming sin far, far, far exceeded the physical. When I think of the cross, I think of the spiritual agony of Jesus as He bore my sin, and I think of the (beyond imagination) agony of the Father as He poured out His wrath of His beloved Son, separated from Him for the only time in all eternity . . . all because of MY sin! What an amazing Father God! Amen, friend. Stated perfectly! Praise God for our Savior… and may His blessings be upon you. You just scared the ……. out of me….lol. I would much rather you se arrogant than seem arrogant, Carley. But no, I would never consider you either. God bless.